Who Needs a Security Deposit? Too many of us are all too familiar with the burden of signing a new lease and its most dreaded sidekick, the security deposit. Just eleven days after I moved into my new apartment in the Pac Heights neighborhood of San Francisco, we met with LeaseLock, a startup that’s taking a new approach to the housing affordability crisis. Armed with fresh wounds and an empty checking account, I was out for blood. My General Partner, Bryan Stolle, agreed with me and recognized that LeaseLock was creating a new category of insurance that offered the solution to so many people’s problem, and we went on to lead their Series A in Q1 of this year. Identifying quality individuals overlooked by the system is the micro problem. The bigger socioeconomic problem in the housing market beyond this is that average rent in the US is $1,480, and the average security deposit is one to three times that. Although these numbers are staggering, they do allow opportunities for companies like LeaseLock to make a meaningful impact on these communities. They have already shown very strong traction in B and C class properties, which suggests its really helping the most needed audience. LeaseLock’s CEO is Reichen Kuhl, a former Airforce pilot and winner of the Amazing Race. Reichen got the idea for the company after trying and failing to get a lease in NYC because the security deposit was 80x rent. He decided to take out an ad to see if he could help others get into apartments as a guarantor and got a flood of applications. He chose 15 to help, not one defaulted, and LeaseLock was born. The foundational truth here is that everyone hates security deposits. Getting rid of the security deposit is a rising tide that lifts all boats. Security deposits are highly regulated accounts, and in most states the landlord cannot even keep the float on the money sitting in escrow — everything must go back to the renter — so it serves as a major cost center for property managers. Considering that there is $100 billion worth of security deposits sitting in escrow every year in the US, there is a huge opportunity to redistribute that capital to a more useful application. LeaseLock is creating a new market to monetize this trapped value and redirect the money used for an asset that people are already comfortable paying to instead pay a low monthly fee and save thousands of dollars at move-in. With the friction around managing these pools of capital gone, it enables properties to convert more leases with better protection. We believe this correlates to approximately $40 billion in annual insurance premiums. The proprietary digital oil is the company’s risk model which was earned over the last 4 years across 100’s of thousands of units. There are over 40 parameters that go into this model to assess someone’s quality as a renter over and above the existing metrics. To capitalize on this digital oil, LeaseLock has built two key products: Rent Protection Insurance (RPI), which protects property against lost rent, and Damage Protection Insurance (DPI), which effects 100% of the addressable market as everyone has to deal with this. Their products cover damage to the unit above normal wear and tear — important because most landlords fraudulently charge for wear and tear out of the security deposit — utilities, up to $300 in eviction legal fees, and anywhere from one to six month’s rent depending on the risk profile of the renter. Reichen sold the first LeaseLock July 29th, 2016. Their first customer was an engineer going through a divorce with no credit history. Using their risk model LeaseLock was able to get her into an apartment the next day. In her case, she would otherwise have been homeless with 2 kids. The largest competition is traditional security deposits. For example, if landlords lower the price of security deposits below the threshold of LeaseLock’s price it serves as a natural blocker, but the percent of people that meet this criterion is very low as there only so much risk a conservative property manager can assume. Insurance regional providers of admitted lines — similar to a surety bond system — is another incumbent competitor. These end up as pools of money that are being pushed to the property managers to manage. There is a fairly significant risk here in that if the pools run out and a claim is made, money cannot be paid to process that next claim. Additionally, because of regulatory hurdles around this system, this is limited to specific regional expansion and cannot expand nationally. This fits in with Wildcat’s FinTech thesis creating new markets and asset classes. We believe the company is at minimum viable product (MVP) rapidly moving to minimum viable repeatability (MVR) with the launch of their new platform and increasing rate of closing customers. 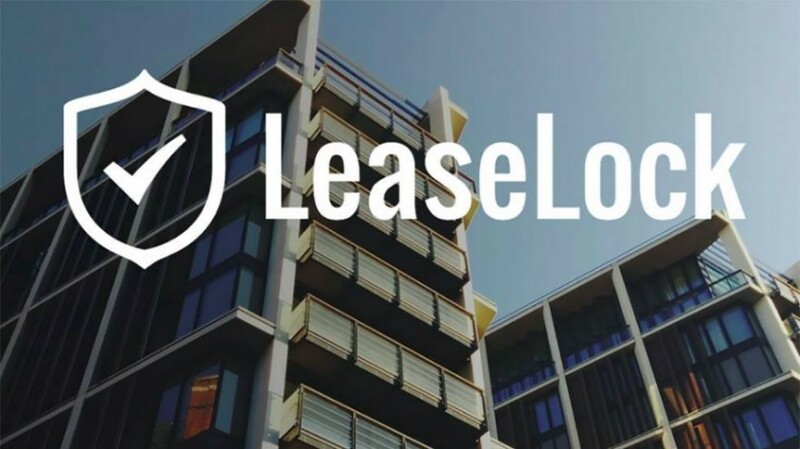 LeaseLock is creating a new category in the housing leasing market and implementing a new solution to an old problem which is revolutionizing the way people think about rental deposits. If you or anyone you know is moving to a new apartment, ask the property manager if they have a LeaseLock. You’ll thank me later. Want more? Visit www.wildcat.vc and follow us on Twitter, LinkedIn, Facebook & Instagram.